Our system is foolproof and lasts forever—why not use it on your other brand of panniers? We offer you our Cam-Lock® hook system as a separate kit, just in case you have an old set of panniers that could use a little spiffing up! The Cam-Lock retro fit kit is available with two different track length 8” and 10” to perfectly match your needs. Our system is foolproof and lasts forever—why not use it on your other brand of panniers? The kit comes with everything except the tools to install it! It is fully adjustable and it's guaranteed for life. The Cam-Lock® will automatically fit rack tubing of 8mm to 15mm diameter. 2 aluminum rails 8 or 10 in. You can order the kit with 8 or 10 in. tracks depending on the size of your panniers. The Cam-Lock® hook kit comes pre-assembled as pictured below and detailed mounting instructions are included. I bought another brand of pannier that had the features I needed at a great price but the mounting system did not fit the racks well and had very little adjustment. I found The Plastic material and poorly engineered locking system was risky on a long tour on rough roads with little support. I have had plastic clips fail on tour while carrying any significant weight, especially in cold weather. Its no fun mickey mousing a solution to broken hooks miles from nowhere in a snowstorm. The Arkel CamLock Hook Kit provides an ideal solution. These are a serious upgrade to any pannier for only $25.00 per bag. They are very well engineered utilizing aluminum (Not Plastic) Rails and hooks That are adjustable to almost any Rack system. 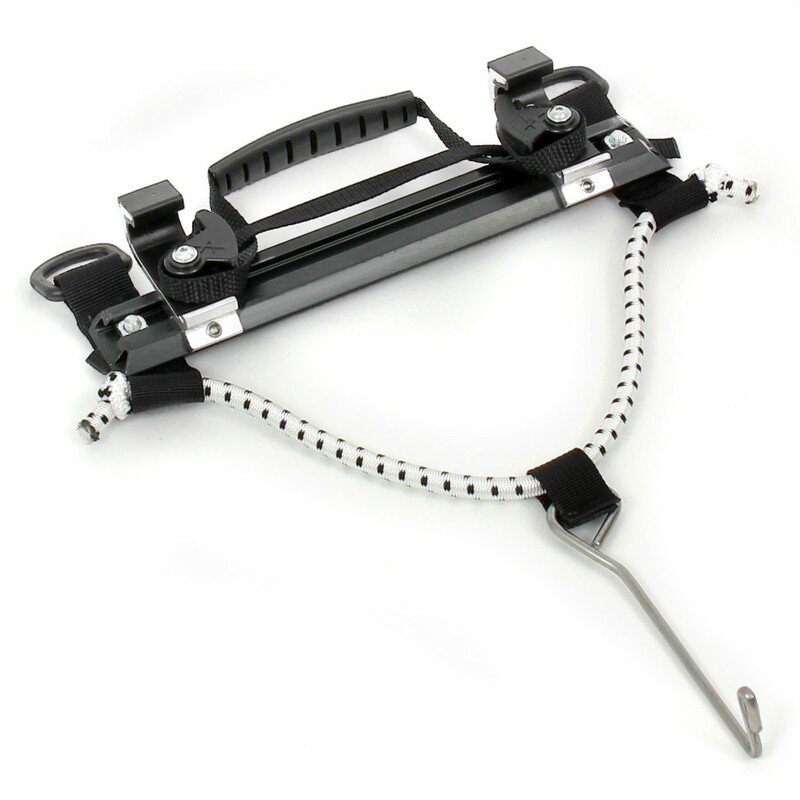 The Nylon Hook inserts provide a scratch free mount that will not slip or rattle. The Camlock system was easy to install (the hardest part was removing the original hardware) and provides the sense of security needed on tour. Thanks to Arkel for providing their technology to upgrade Non- Arkel products.